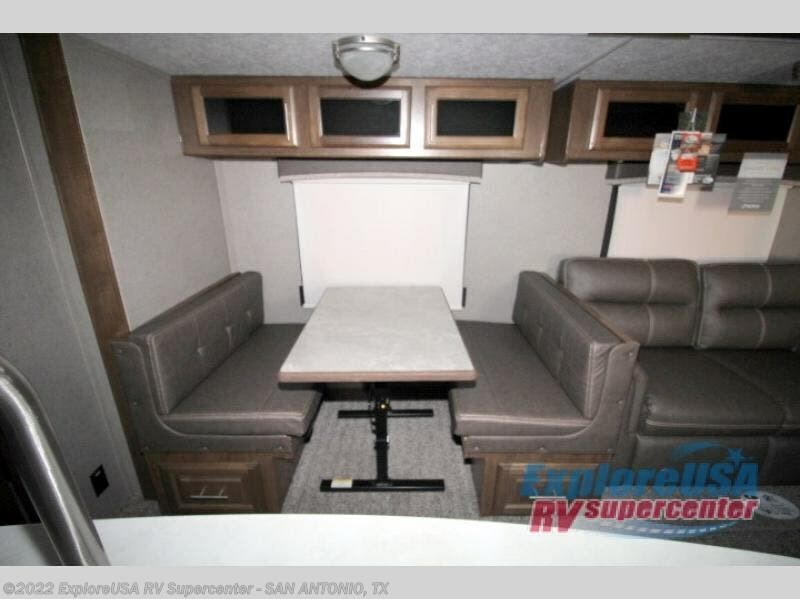 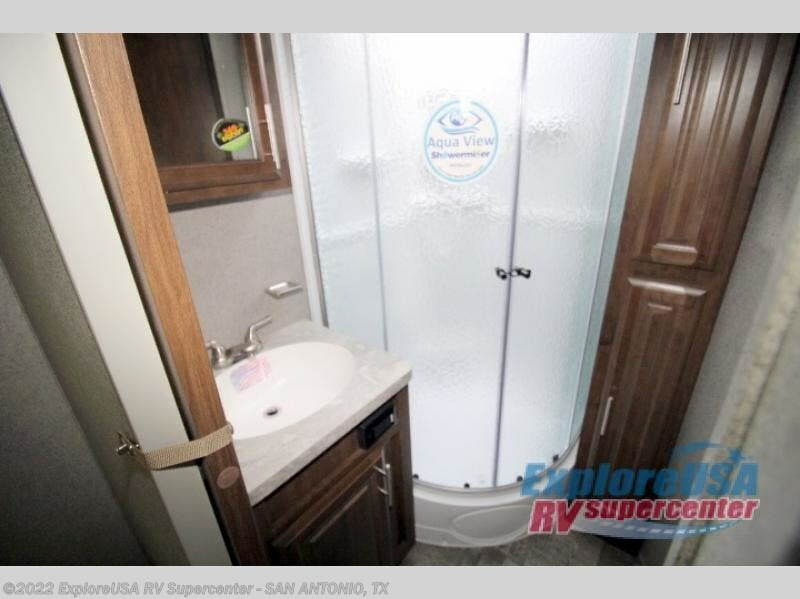 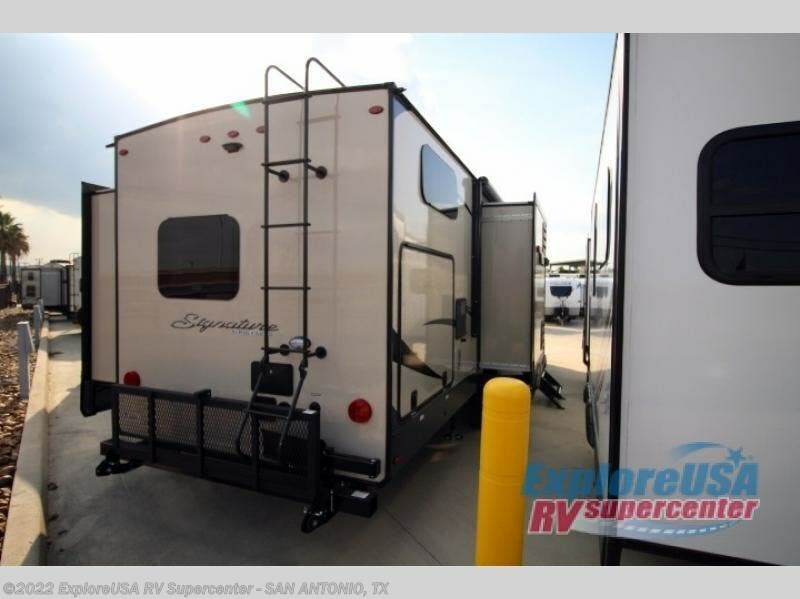 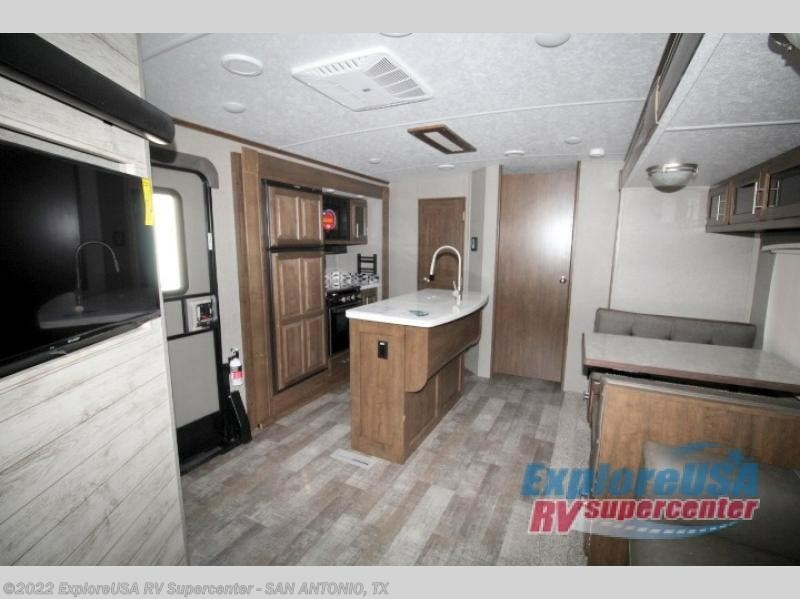 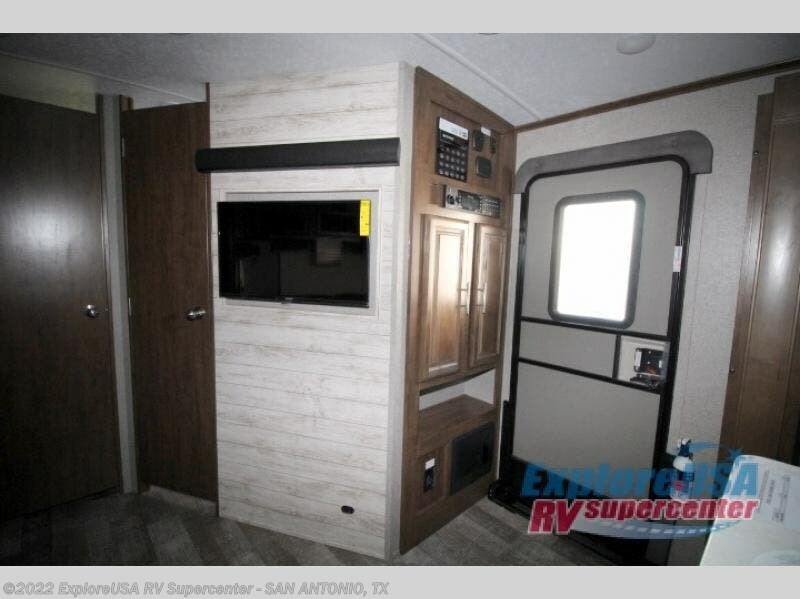 You can make plenty of memories with your family on each camping trip that you take with this travel trailer that features four slide outs. 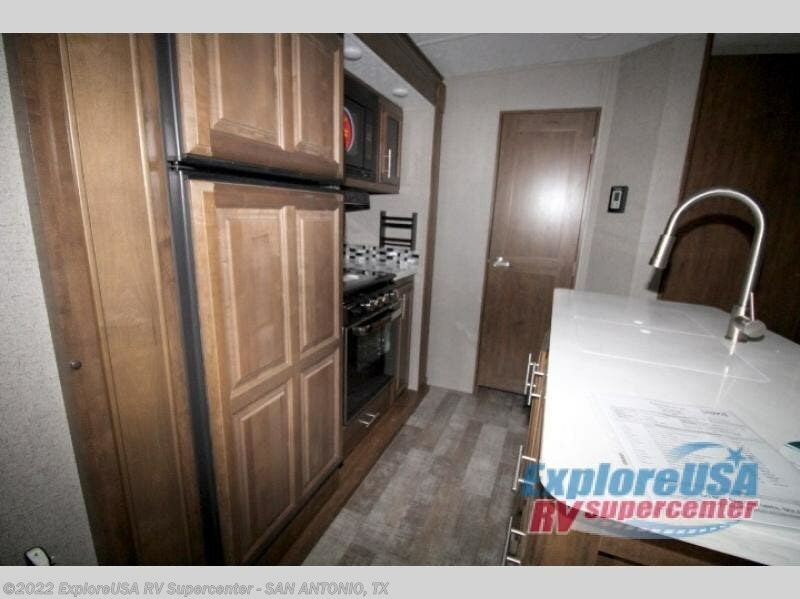 Meal prep will be easy in the kitchen area with a kitchen island and all of the amenities within the curbside slide out. 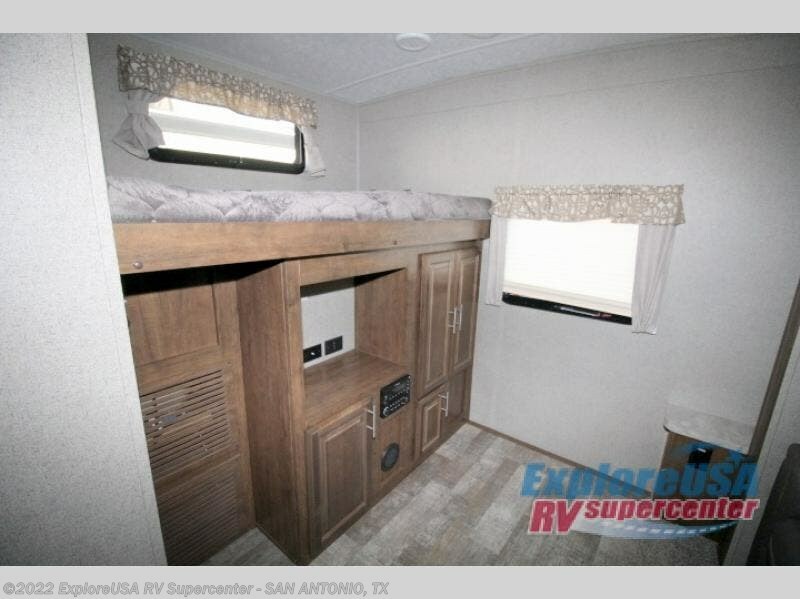 Your kids will have their own space in the rear bunkhouse. 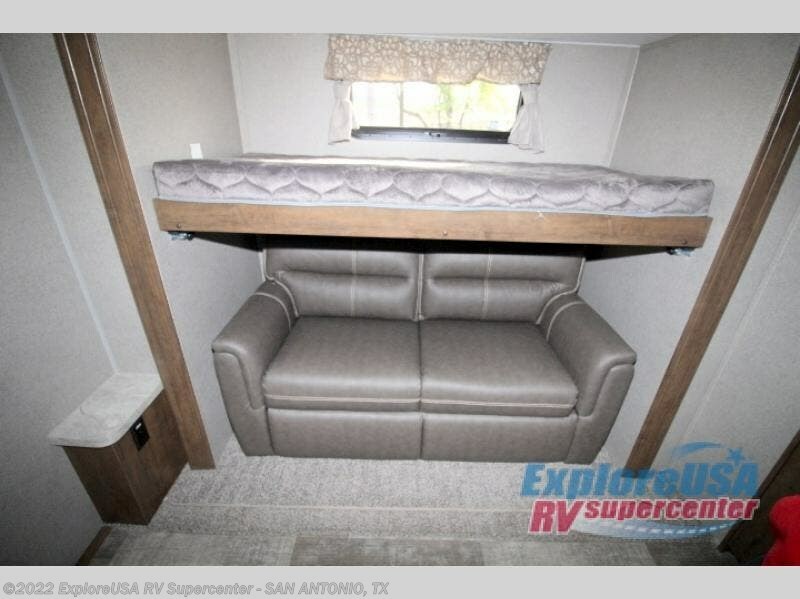 Here you will find a slide out with a flip bed and above there is a flip-up bunk. 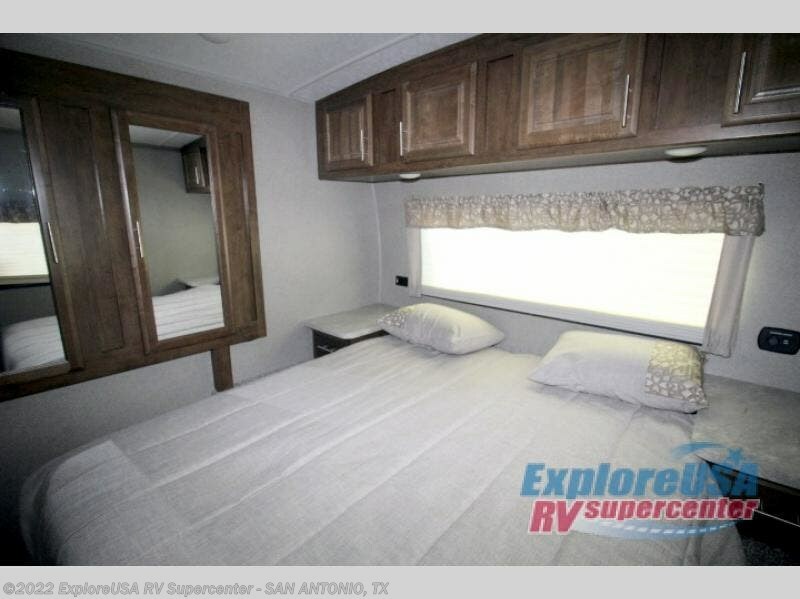 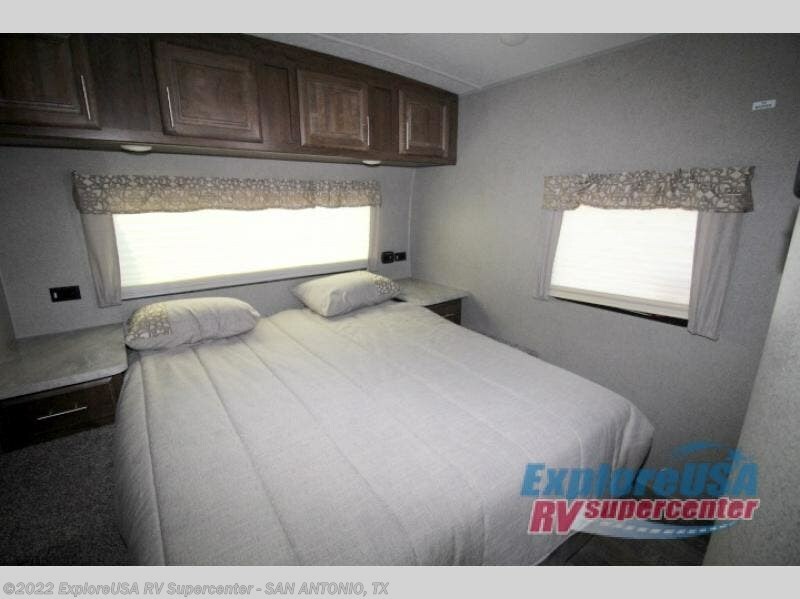 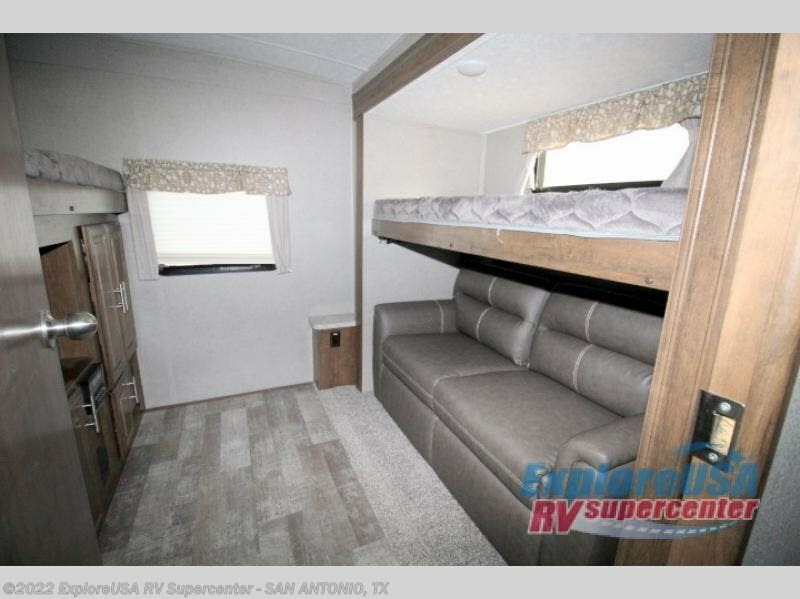 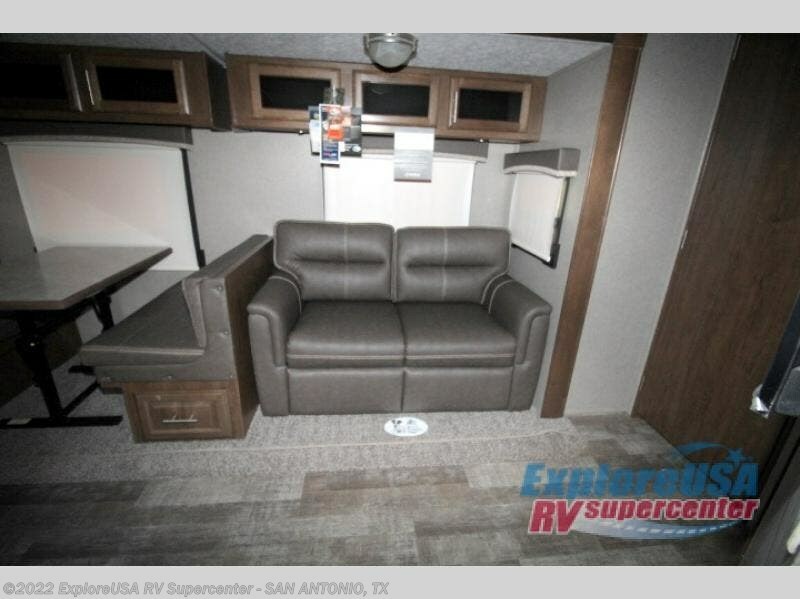 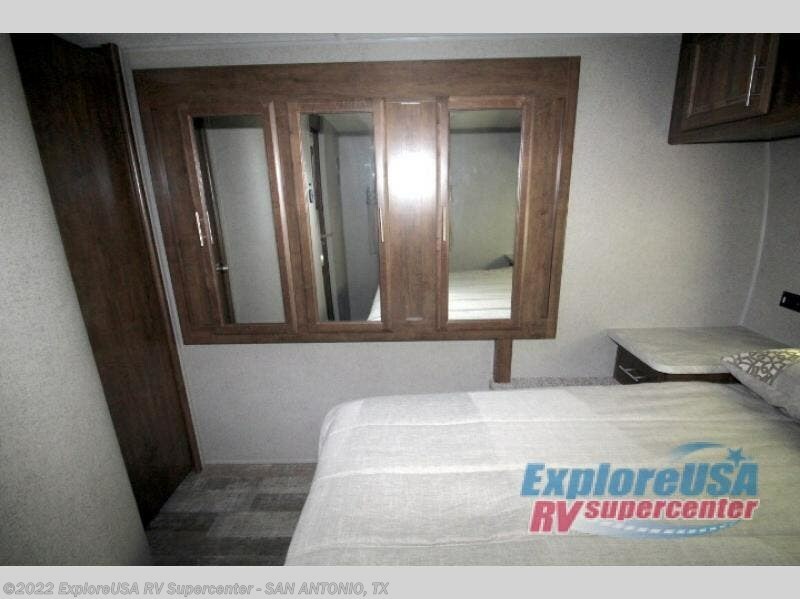 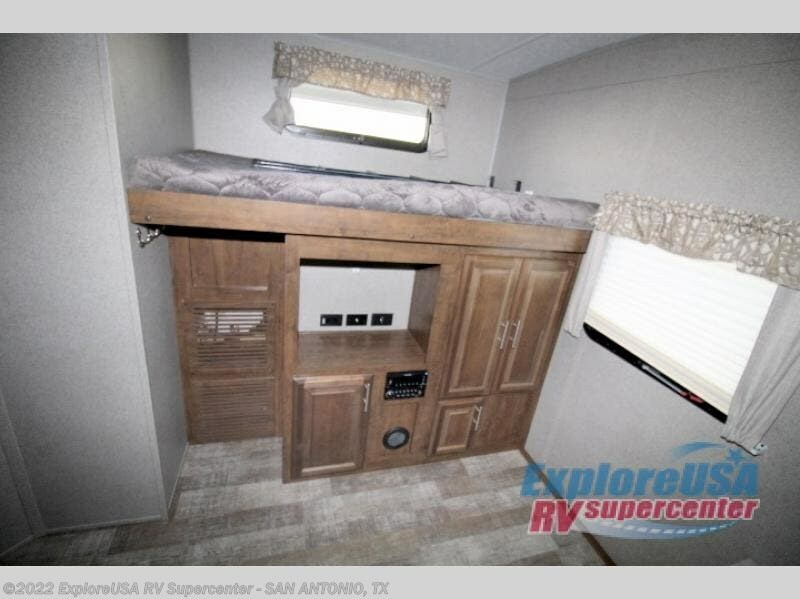 Across the room there is an additional bunk bed plus a TV and plenty of storage. 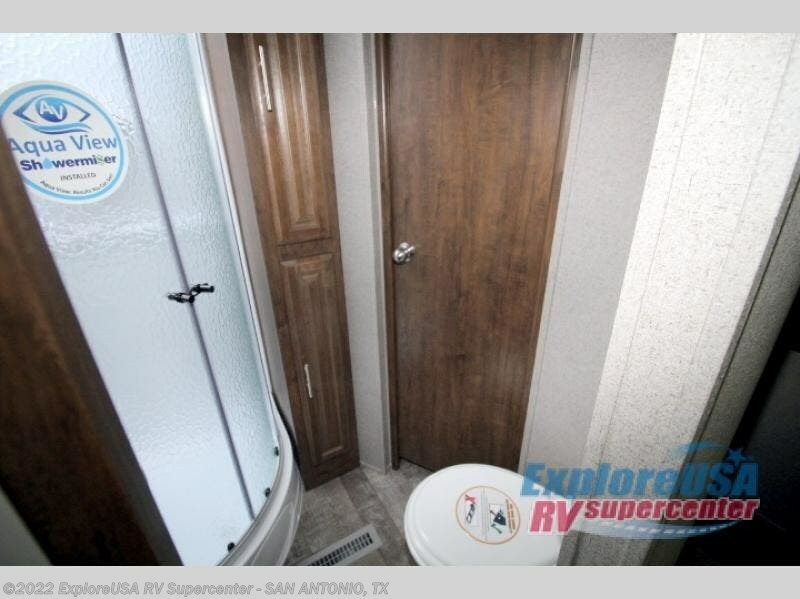 The side aisle bathroom features two entry doors, one from the hallway and one from the master bedroom. 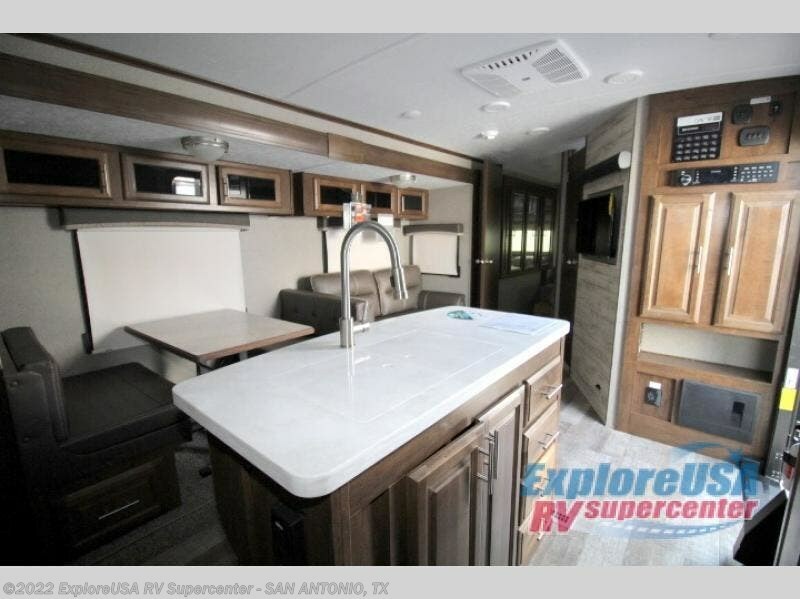 Move your family time outside with the outdoor kitchen, plus the 21' awning with LED lights provides plenty of shade and more! 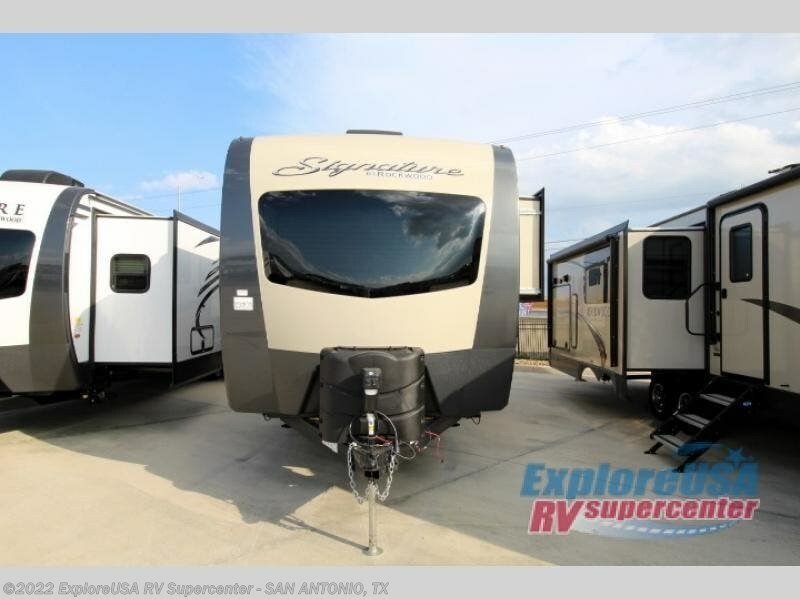 The Forest River Rockwood Signature Ultra Lite travel trailers are anything but ordinary. 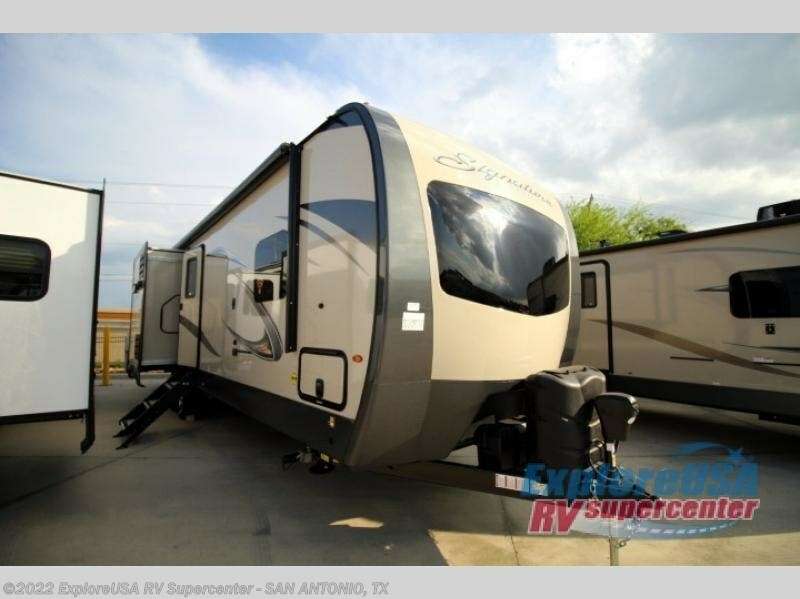 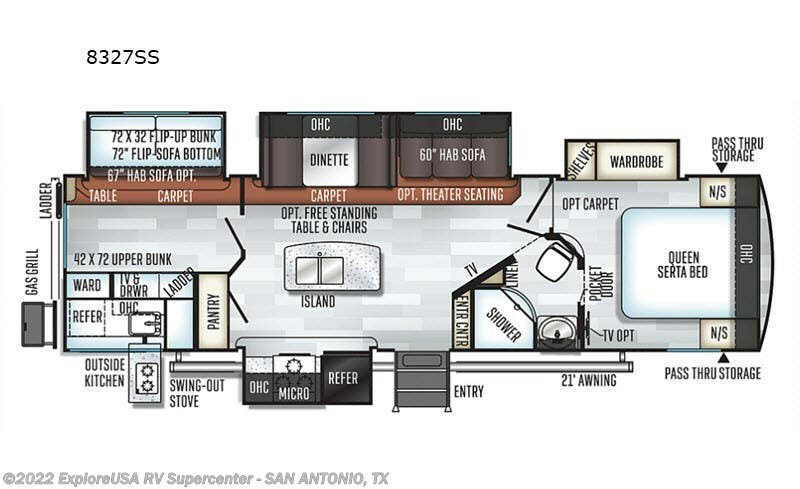 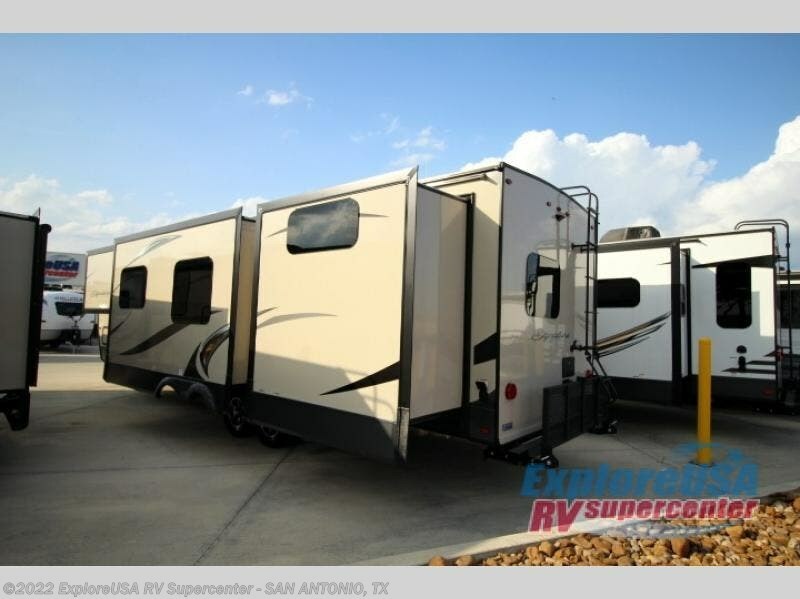 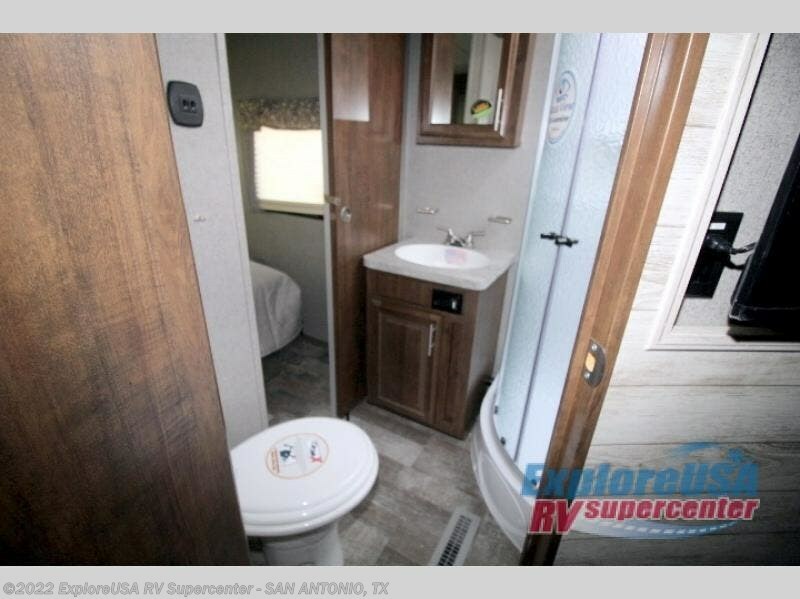 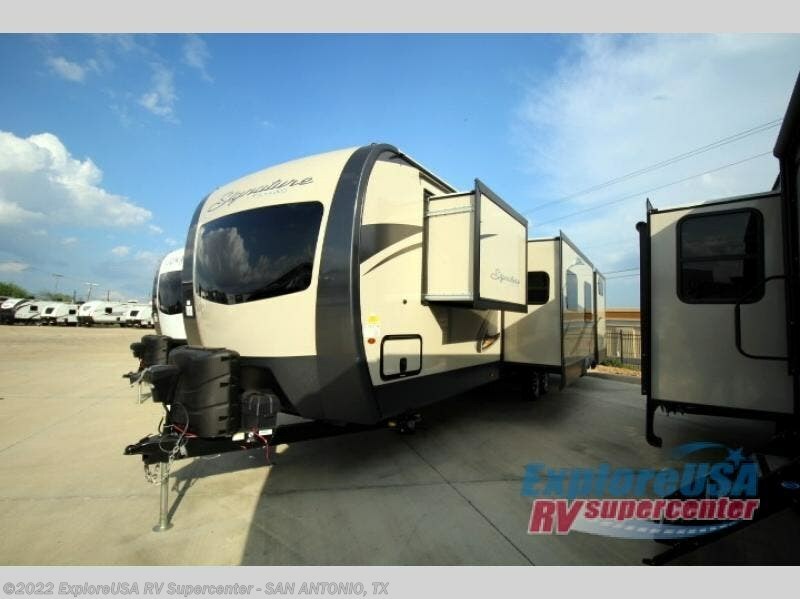 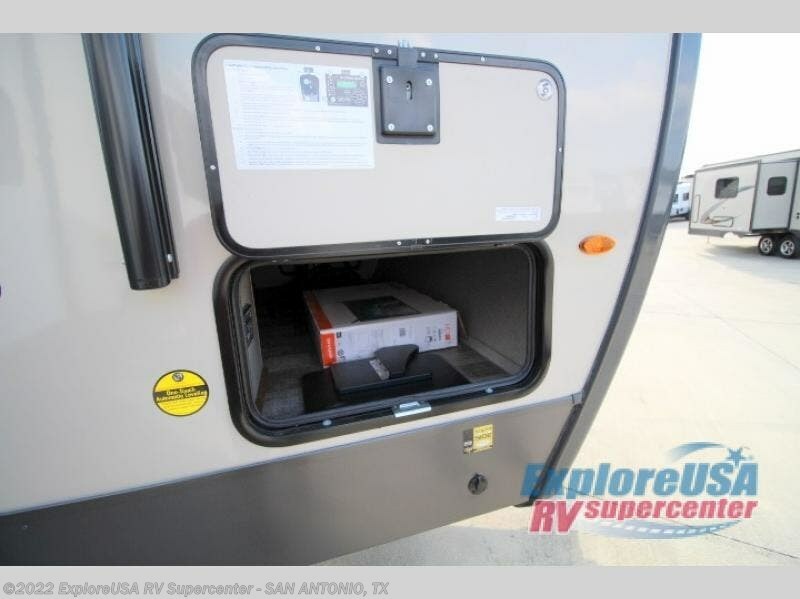 You will love all the space inside each model, with each including three slides or more. 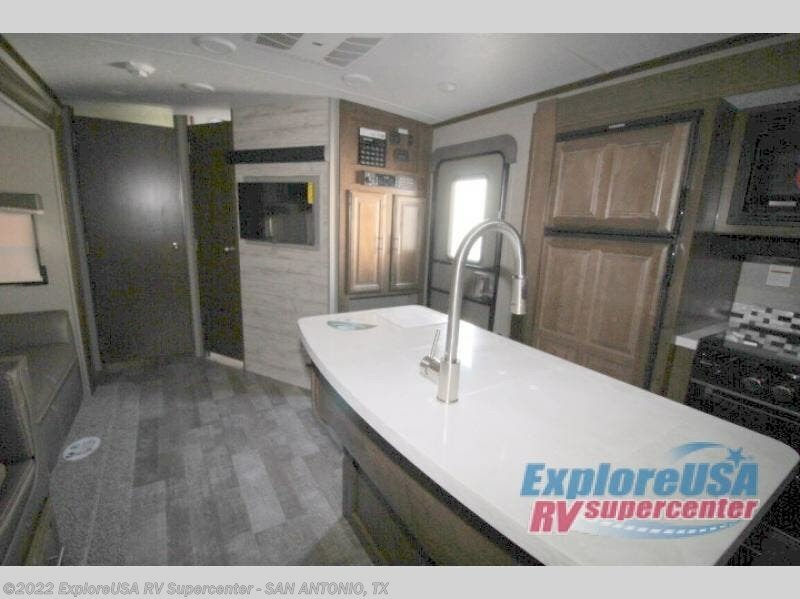 Once you step inside you will find beautiful Slatewood interior, solid wood cabinet doors and drawers, plus LED lighting throughout. 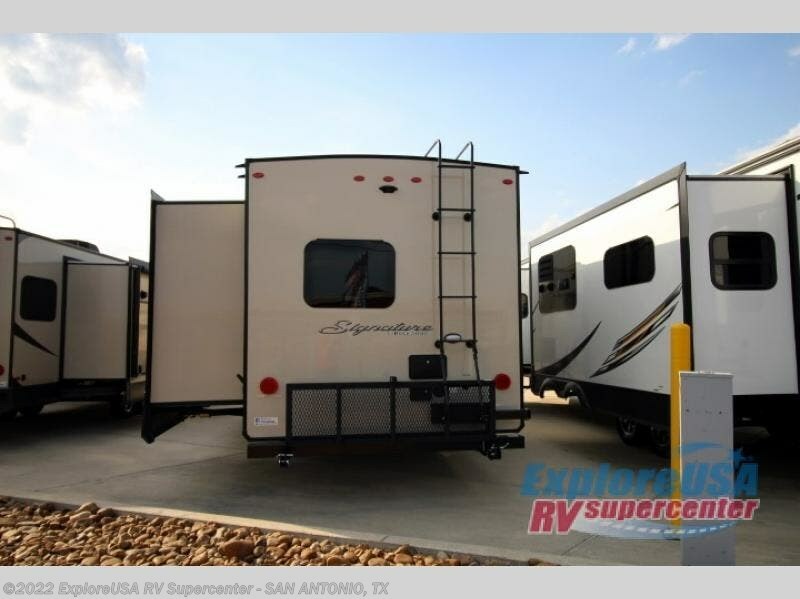 Outside, there is a power awning with an adjustable rain dump plus LED lights, and a seamless one piece roof. 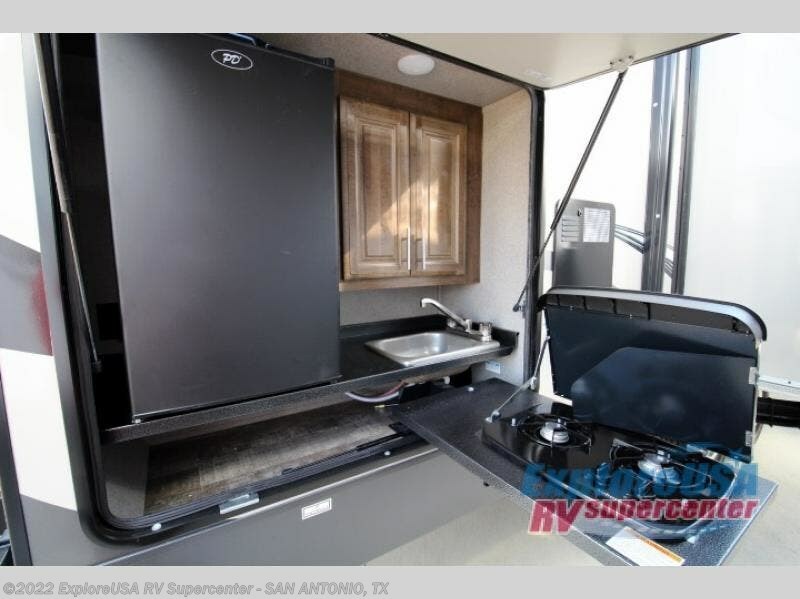 Each model also includes a Standard Package which features a high gloss front cap, an upgraded 22" gas oven, solid surface kitchen countertops, outside speakers, and so much more! 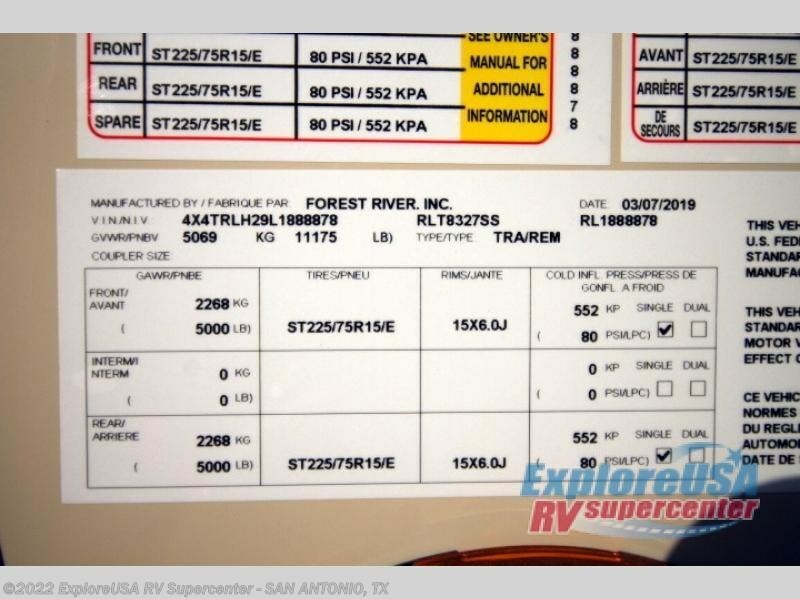 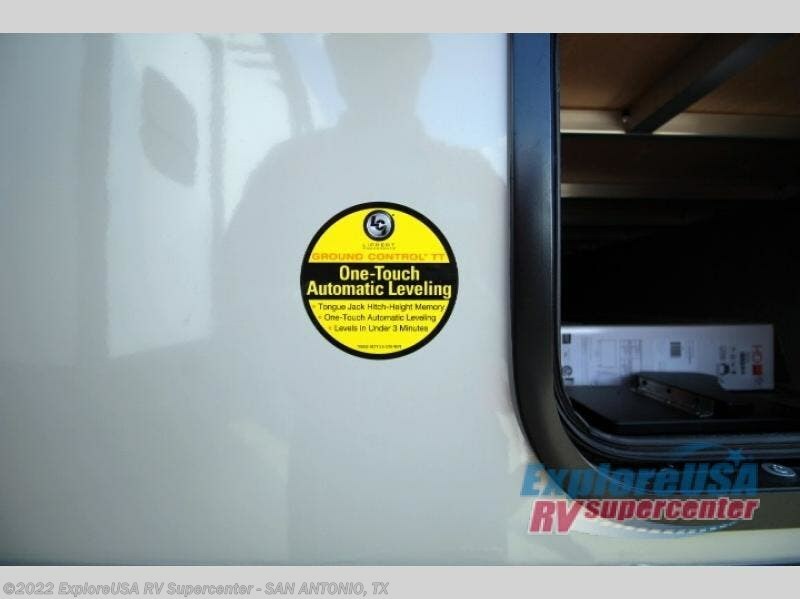 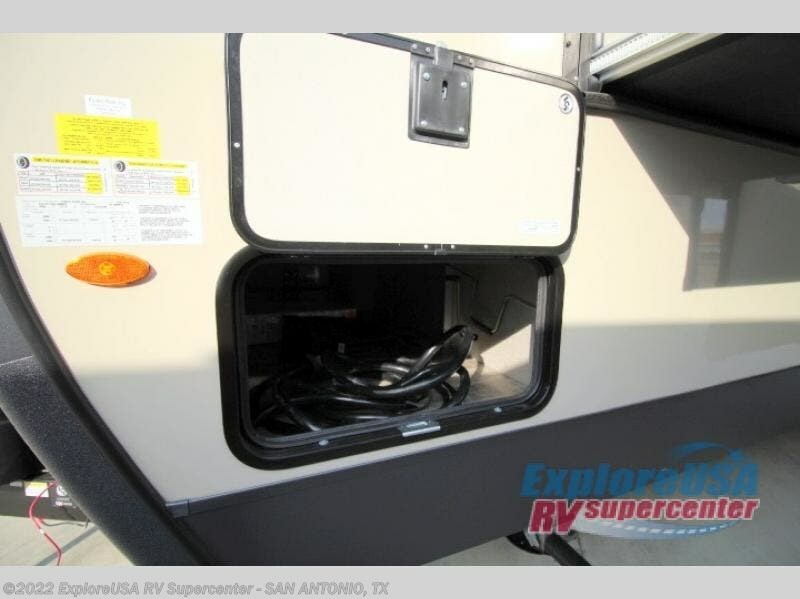 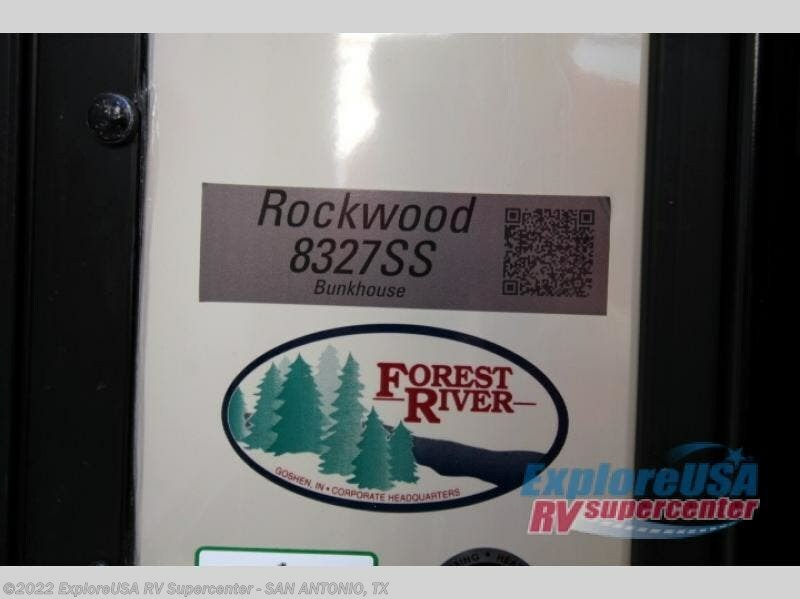 Check out Stock # SA3558 - 2020 Forest River Rockwood Signature Ultra Lite 8327SS on forestriverrvsource.com!